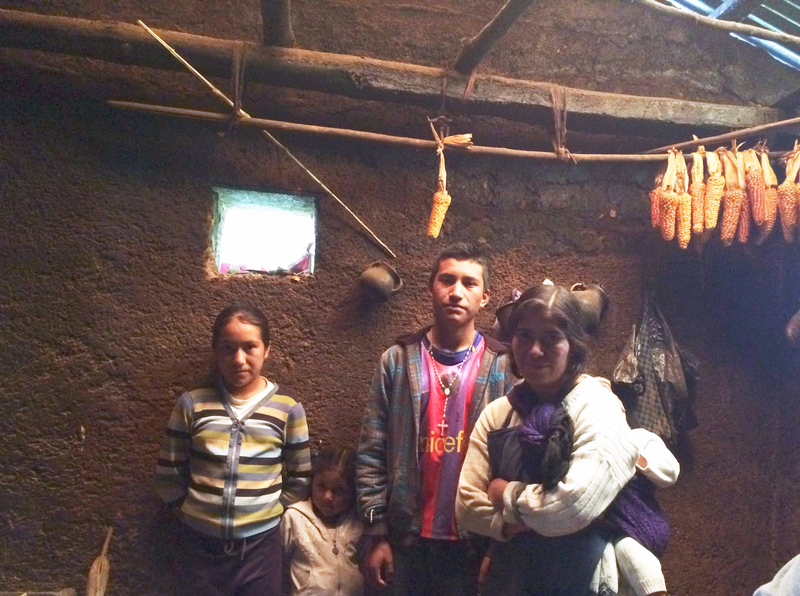 Aury (left) and Julio (middle) are bright students in rural Guatemala, but desperately poor since their father died. LACF scholarships allow them both to attend high school, and have a chance at a better future. Paty, Sylvia and Glendy all grew up in Guatemalan villages several hours from the nearest high school. LACF scholarships have allowed the trio to attend a city high school, covering the costs of their room, board, tuition, and required uniforms. A high school education will open many opportunities for these young women. Located in a rural area between Chalchuapa and Santa Ana, El Salvador, our clinic brings health care to several hundred children and their family members each month. We fund regular doctor hours as well as medicines and periodic health fairs. During our periodic health fairs at the clinic, volunteer doctors and nurses will help hundreds of patients in a single day. Read more about our rural medical clinic. Children from families where no one reads or writes, often have delayed motor skills that hinder learning. 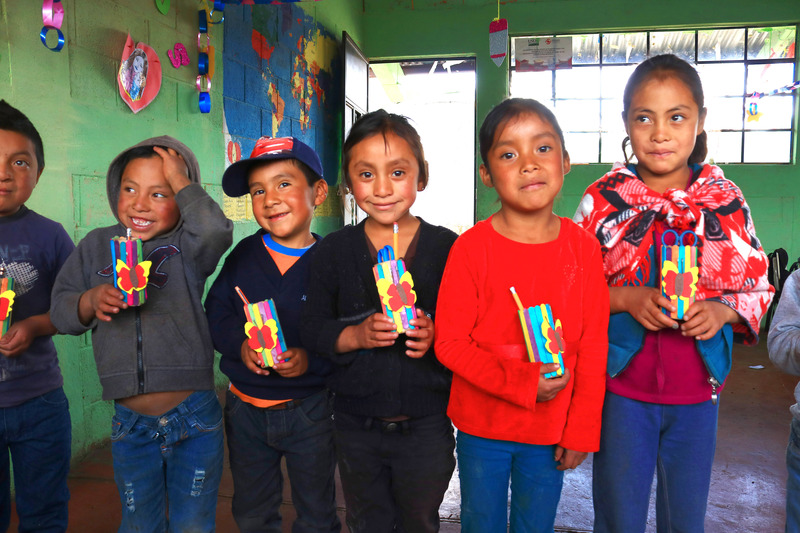 LACF helps these Guatemalan by providing art supplies and teacher support so little hands learn pen and paper skills, which improves literacy late on. Photo by Noah Gasch. 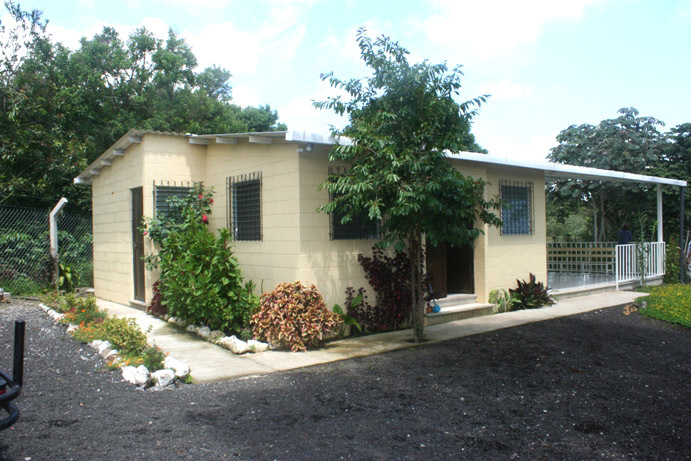 LACF donations support the work of Mission to El Salvador and its outreach to desperate urban families. 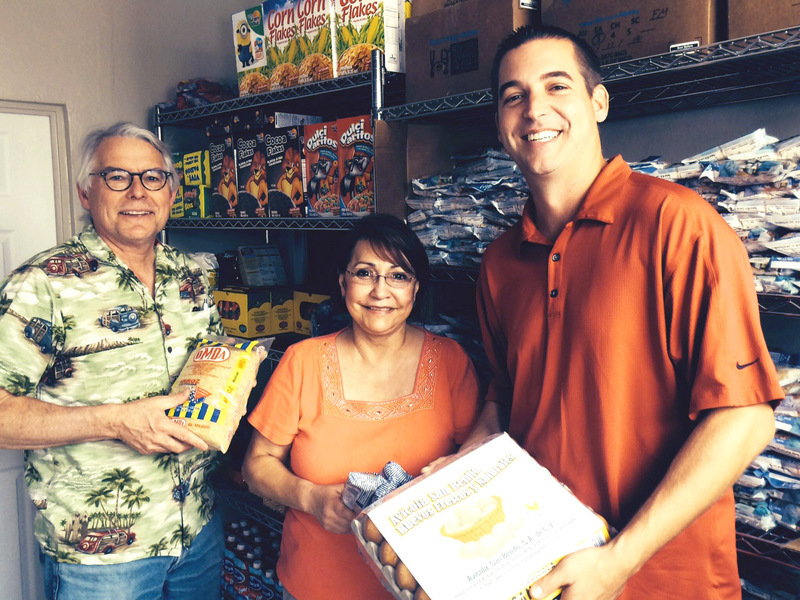 Jon Snyder (right) of Mission to El Salvador shows off the food co-op to Rodney Gasch (left), and Florence Mediate (center) of LACF. LACF provided seed money to start the co-op. 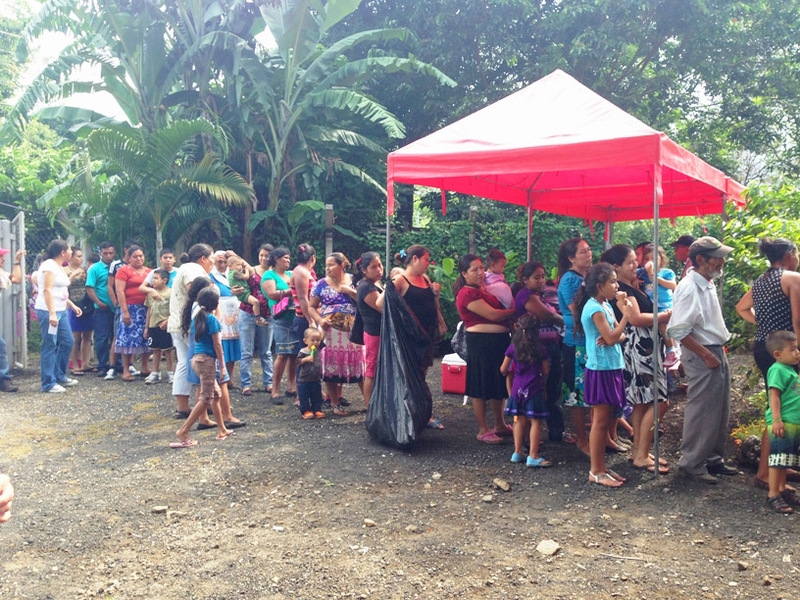 The food coop provides nutritional counseling and food to needy families in a poor section of San Salvador. 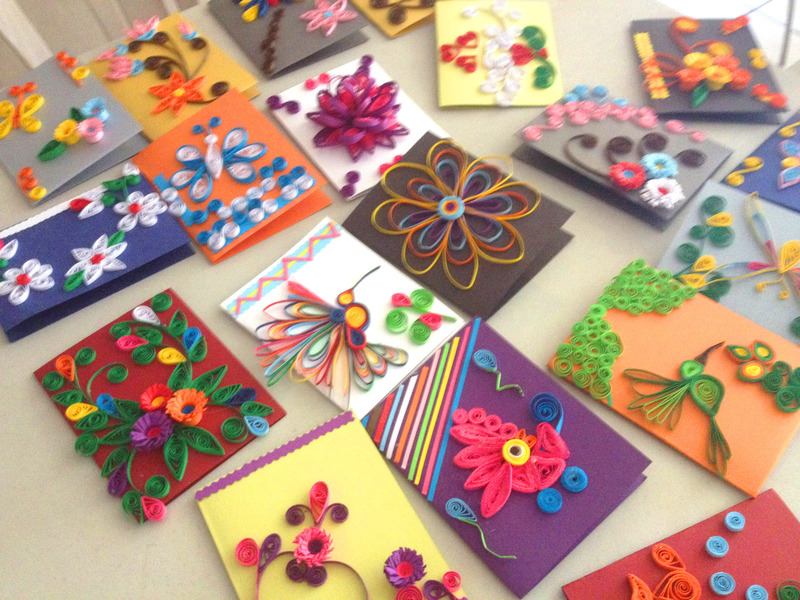 These beautiful cards are hand made by young women rescued from human traffickers in El Salvador. This craft helps them generate income and build self esteem. LACF donations support this program by helping buy supplies, and by selling cards. 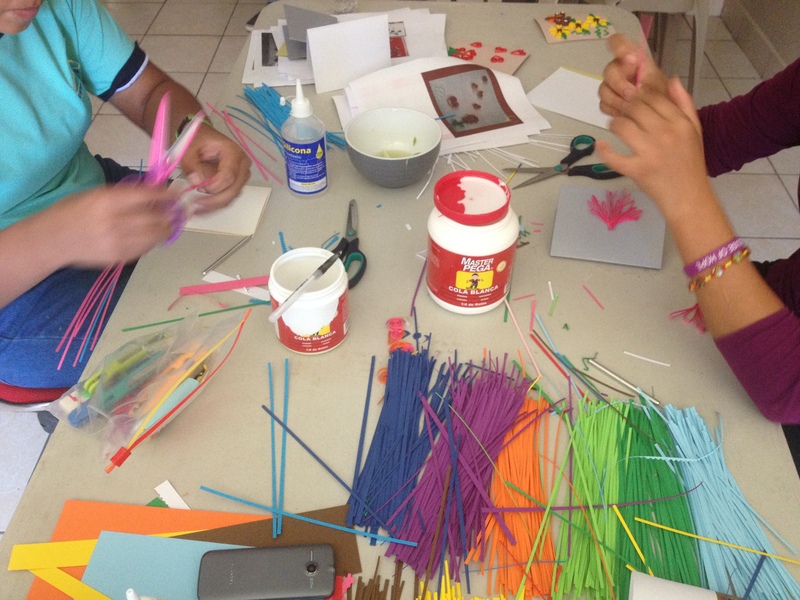 You can help by having your group sell the greetings cards these young women create.